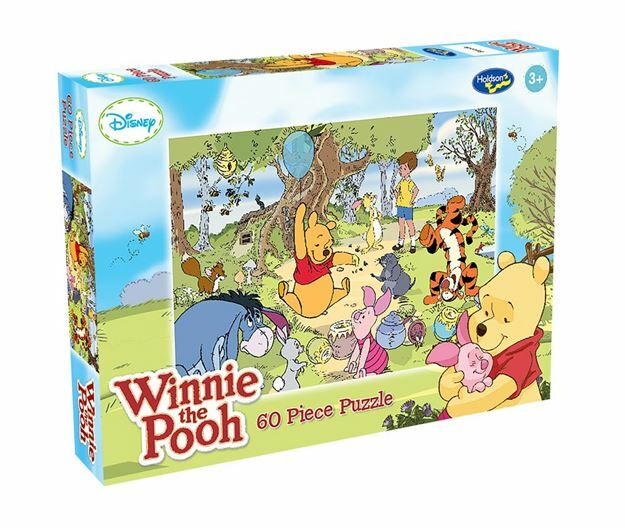 Collect all four Holdson 60pc boxed puzzles featuring your favourite Winnie the Pooh characters. Titles include: I've Got A Rumbly In My Tumbly, Oh Bother! Let's Try Another, Picked Just For You and Together Is A Grand Way To Be. Each design sold separately. Collect all four designs. Age 3+ years. Made in New Zealand by Holdson. Approximate puzzle dimensions: 340mm x 240mm. Box size: 270mm x 190mm.